The expandable brush allows precise application of fine to dramatic lines. 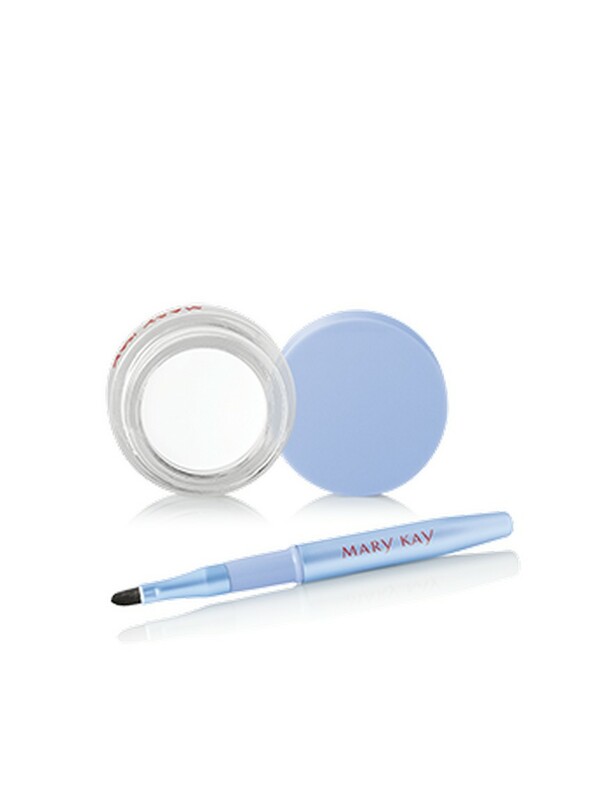 Glides on smoothly and applies evenly. Does not tug or pull. The precision of a pencil meets the intensity of a liquid in one smooth gel eyeliner. The formula is so creamy, it comes in a jar with a special brush applicator. 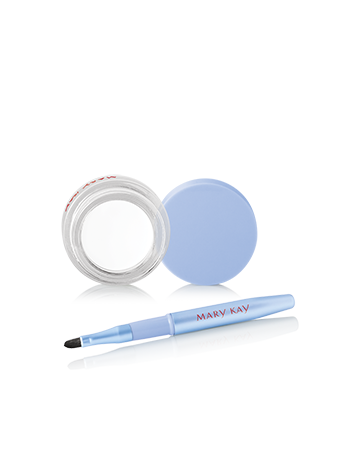 Transfer-resistant and easy to apply, the versatile Mary Kay® Gel Eyeliner lets you create beautiful fine lines for a daytime look, or intensify with ease for a more dramatic effect. Thanks to the expandable brush, you get the precise application you need to create any look you wish. The lightweight formula glides on smoothly without tugging or pulling and dries quickly, delivering an intense color payoff. Long-wearing and creaseproof, it’s a beautiful go-to option for any occasion. Apply White Daisy gel eyeliner to the inner corners of the eyes to add brightness around the eyes. Wear alone for a striking new look. Layer strokes of White Daisy gel eyeliner and Jet Black gel eyeliner in a cat-eye shape.